The Article V movement is growing as a result of Americans challenging the ever-growing reach of the federal government that has crossed its constitutional bounds. Citizens for Self-Governance is hosting the first-ever Article V simulated convention of states September 21-23, in Colonial Williamsburg, Virginia, and Clay Scofield will be attending as a commissioner representing Alabama. Forty-eight states are sending legislators and respected thought leaders to act as commissioners in performing a test run of an actual Article V convention. 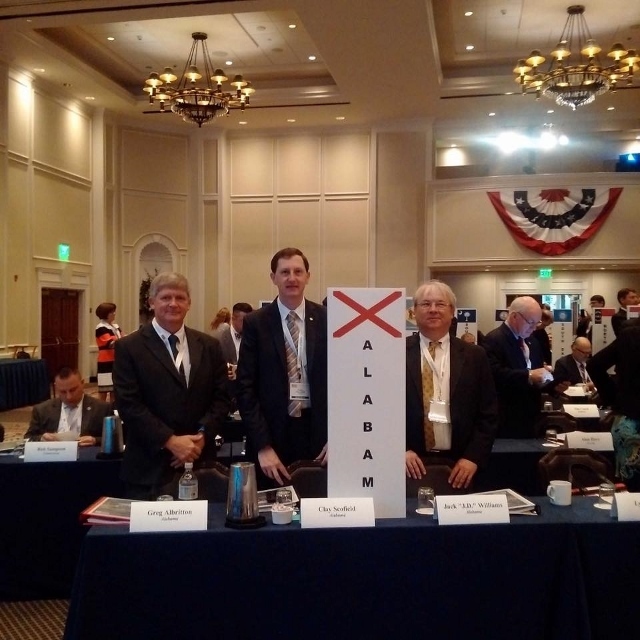 Scofield will chair Alabama’s delegation which also includes Senator Greg Albritton and Rep. Jack Williams. Citizens have been asked to participate in the Convention of States poll on which amendments should be discussed during the convention that begins on Sept 21st. The top three amendment priorities polled by Convention of States Project supporters included (#1) term limits on federal officials, (#2) a balanced-budget amendment, and (#3) limiting executive orders and burdensome regulations.